I am absolutely in love with this new Stampin' Up! Hostess Level 1 Stamp Set called Because I care. I have used Pacific Point and Old Olive and watercoloured it with my aqua painter. If you love this set as much as I do - you can earn it for FREE by hosting a party with a few friends!! Click on my hostess page for all the details on how easy it is to host a party and how much you get for FREE!! Also now with the extra hostess benefits special for August parties over $450! Woohoo. Fantastic time to gather a few friends for a FREE card making party! My 6 year old loved my card so much she wanted to make one for herself.. here is her version! 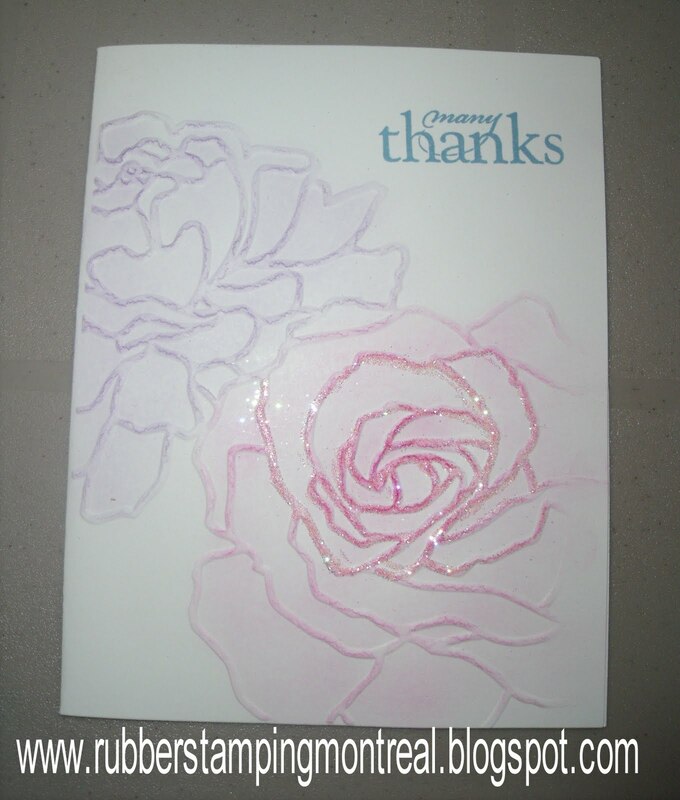 I had a customer a few weeks ago ask me to show her a one layer card that was still a *wow*. This is what within one minute I showed her. Her reaction was so wonderful (I continued to show it at my latest 12 hour crop. 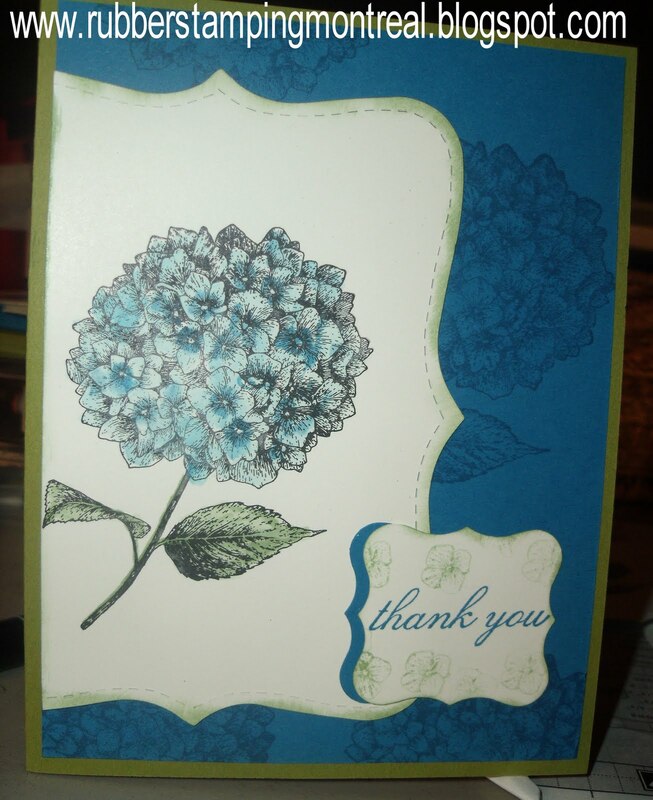 Our Stampin' Up! Big Shot by Sizzix is just amazing for things like this!!! Its no wonder we carry so many Sizzix die cuts - with so many completely exclusive to Stampin' Up! The above sample is just one of those. it is coordinates with our Fifth Avenue Floral Stamp set..and is just stunning. A little Stampin' Pastels (dry chalks), some 2 way glue pen and dazzling diamonds..and *wow*. 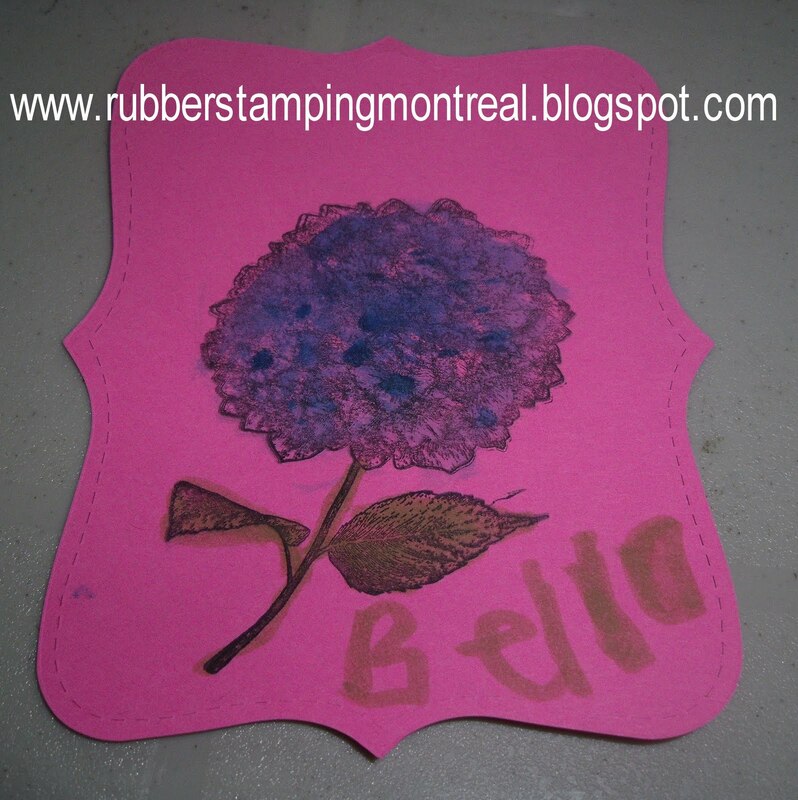 I will be putting in a Stampin' Up! order by the end of the day tomorrow. Please mention *fifth avenue blog post* and I will offer you FREE SHIPPING on your order anywhere in Canada.